If you want to see the auto run entries in Windows 8.1 or 8, e.g. the auto start apps and programs, here is the solution for Windows 10 and 7, 8 + 8.1! 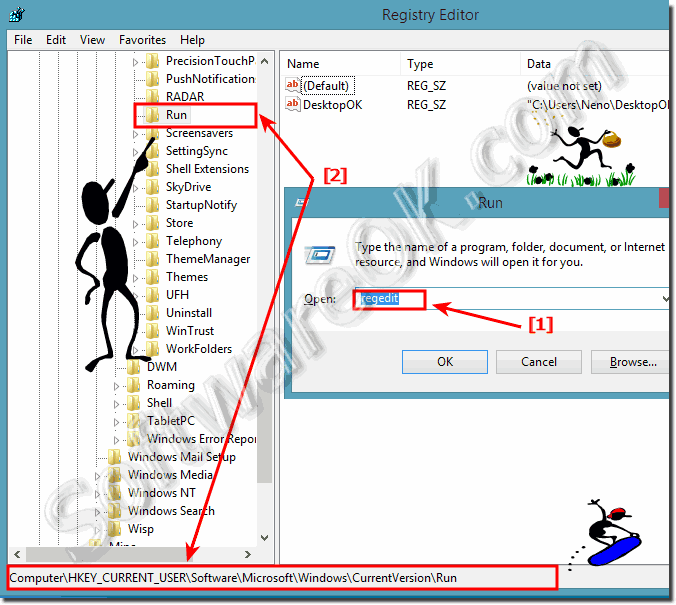 The fastest way to see the autorun entries is via the Windows 8.1 registry editor! HKEY_LOCAL_MACHINE\Software\Microsoft\Windows\CurrentVersion\Run here the entry is responsible for all Windows 8.1 user! ... where is the auto startup folder in Windows 8.1, or 8? ... how to auto run a program at a certain time in Windows 8.1 and 10? (Image-1) Registry entries for auto run the Apps in Windows 8.1, or 8! (Image-2) Autorun entries for all Users in Windows 8.1, or 8 registry! Windows-8 - FAQ-221: Windows 8.1 and 10 registry autostart entries for auto run, (find, all user) ? How to view autostart entries? Turn of citrix receiver autostart through registry windows 10? Windows auto startup settings registry? Windows 8.1 startup programs registry? Win10 application automatically running HKEY_LOCAL_MACHINE? Windows 8.1 autorun regedit key? Windows 8 autorun programs reg? Program auto launch registry settings? Win 8.1 startup folder location? Autorun registry settings windows 8.1? Windows 8.1 registry autorun location? Find autoruns in registry on windows 8.1? Windows 8.1 and auto start? Registry autoplay settings in windows 8.1? All users startup windows 8.1? Windows 8.1 autoplay registry setting? Autorun registry in windows 8.1! Windows 8.1 start menu folder? How to find auto runs in win 8.1? 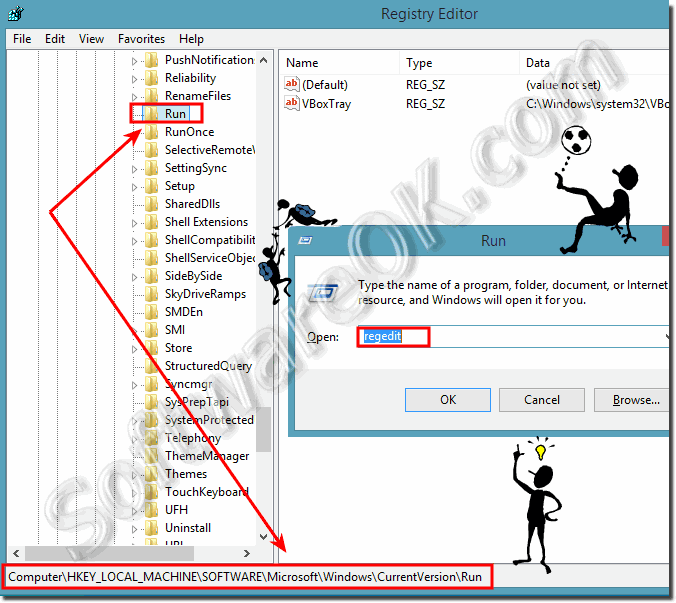 Auto run command registry, eg Windows 8.1 autostart registry? Where is login located in windows 8.1 registry? Auto run in Windows 8.1, Regedit run? Automatically run the Program with Windows 8.1 at login? Windows 8.1 remove from autostart? Windows 8.1 autorun registry entries? Registry key win10 autostart program?